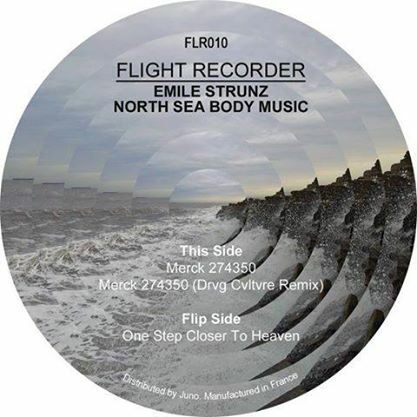 The latest release from Flight Recorder is from one of our favourites Emile Strunz ! This 3 track EP titled “North Sea Body Music” features 2 original tracks from Emile and a remix by Drvg Culture! The track “Merck 274350” is perfect slow tempo body music with just a hypnotic groove that just builds and builds and the remix by Drvg Culture takes the track down a darker more acid techno vibe which is pretty tasty as well !! My favourite track of the EP is “One Step Closer” which sounds like the love child of New Beat and Nitzer Ebb but sounds fresher than 99% of music out there !! Here is a preview of the EP TURN UP LOUD!! !